Family Law, in Poway, involves many different areas of the law and many different factual situations. Family law includes divorce, annulment, paternity and legal separation among others. Issues which can arise in family law cases in Poway include child custody, child visitation, child support, spousal support, domestic violence, temporary restraining orders, permanent restraining orders, community property, separate property, quasi community property, business interests, employment benefits, retirement division, tracing for reimbursement, enforcement of orders, marital status, bifurcation of status, trial, petition for divorce, petition for legal separation, petition to establish a complaint for a parental relationship, summons, division of assets, division of debts, filing of pleadings, court appearances, attorney fee contribution requests, marital settlement agreements, legal separation agreements, judgments, child support analysis both pre judgment and post judgment as well as the same for spousal support. There are many additional areas of family law. Poway is located in San Diego County. Our law firm has represented clients from Poway in past cases. Our office is easy to find from Poway by taking the I-15 freeway and exiting at Bernardo Center Drive and going east. Take a left into the Burger King driveway and our office is located in the Clock Tower Office Plaza on the south west corner of the second floor and look for our two four by eight foot signs. Our office is in the same location from 1998 showing stability as well as Roy Doppelt having practiced in San Diego County since 1988. Our office is only minutes from Poway. An interview of Roy Doppelt on San Diego NBC on October 5, 2011 was seen by Poway residents regarding international kidnaping cases and a link to the actual interview is located on the home page of the website. Our office is easy to work with. There is a full time attorney practicing family law as well as a full time paralegal assisting the family law attorney. Our firm wants to give value for legal fees paid and does not charge for costs which many other San Diego law firms charge for such as parking, postage, mileage, copying and fax. In addition, while you are a current client of our firm, we will also not charge for routine filings in the San Diego Superior Court Houses which hear family law cases such as the main family law court house on Sixth Avenue downtown, the Madge Bradley court house located on Fourth Avenue downtown, the north county court house located on Melrose in Vista, the south county court house located on H Street in Chula Vista and the east county court house located on Magnolia in El Cajon. Our office has free parking and an elevator for easy access. Our firm is a member of the San Diego Better Business Bureau. Our office offers a free consultation for up to 30 minutes which is complimentary whether you hire our firm or not. An analysis of the legal issues, including child and spousal support calculations, will be offered at the consultation. We would also offer you a complimentary copy of “The San Diego Legal Insider’s Guide to Divorce, Legal Separation and Paternity” which is sold on Amazon. 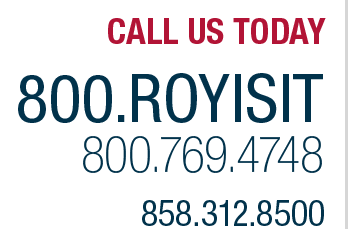 Roy Doppelt has many awards including being included in the 2011-2012 Marquis’ Who’s Who In American Law, as well as being quoted in both CNN Money and USA Today and the links for these articles are also on the home page of the website. Please feel free to contact us to meet with an attorney to personally discuss your family law matter in Poway.